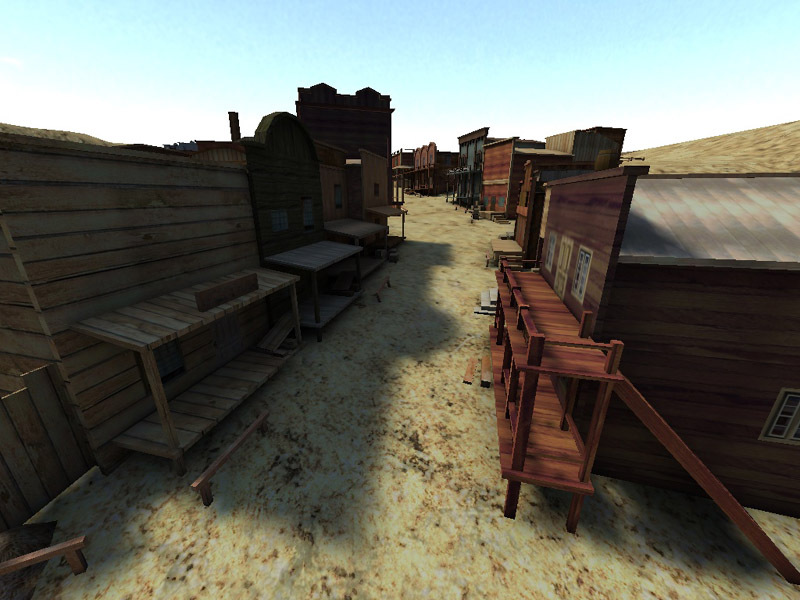 The WildWest was the first MOD created for Return to Castle Wolfenstein, nearly 10 years ago to the date (October 22, 2002). It's creators, Hewster and B0ltyB0y were pioneers in the RtCW mapping/modding scene. One of the original goals was to create as near as possible a Total Conversion MOD from the start, using as little RtCW content as possible (baring the sdk of course). This would turn out to come in handy years later. The RTCW source code was released under GPL on August 12, 2010. Since that time, a small (but dedicated) following has been waiting for the inevitable; a new and Free release of The WildWest – as a stand-alone game. Currently a WW RC is in the beta stages, but I already had a chance to run around on an old familiar map… El Paso. The original was created by Mario "DeadKennedy" Messer, for Western Quake III. With the assistance of Hewster, Ringo, and countless others, we converted the map over to the WildWest – and I heavily modified it from there. Although I would not take credit for the original map, I am pleased to see "something" I worked on will be apart of a published game, and will be freely available for anyone to download and play.